Matt Berkeley-Lobato is a film editor with over 10 years experience working on award winning TV series, documentaries and branded content. 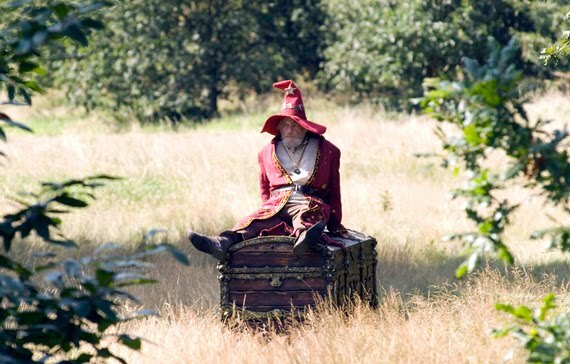 Sky One commissioned a two-part adaptation of The Colour of Magic and The Light Fantastic – based on Terry Pratchett’s popular Discworld series of fantasy adventure novels. David Jason starred in the role of Rincewind. Sean Astin, took the role of Twoflower and Christopher Lee took over the role of Death. This TV series was BAFTA nominated. Channel 4 commissioned an online documentary series about the human stories behind tattoos that get covered up or changed, for all kinds of reasons, from wiping memories of an ex to creating a ‘new you’. This became the most popular 4oD series in the UK. The BBC commissioned a Behind the Scenes documentary about the highest selling Colombian music artist of all time. The film was shot in Abu Dhabi during Shakira’s concert at the Emirates Palace. The documentary also features her talking about the rehearsals and preparations before she steps onto stage.